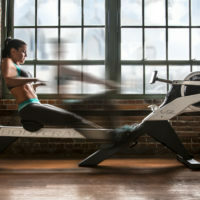 We value practical design: our Model D is efficiently engineered and will last a lifetime. 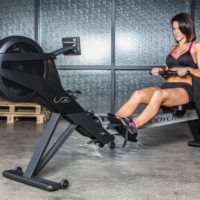 The Model D you buy is the same machine used by Olympic- and elite-level athletes to train for their sport it’ll take the abuse of heavy training day after day. 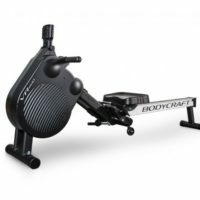 If you’re looking for a solid piece of exercise equipment at a great value, the Model D is the perfect choice. 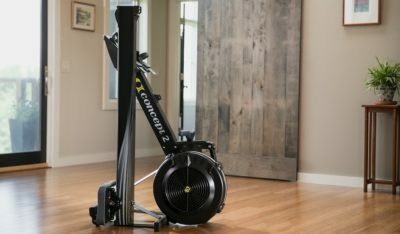 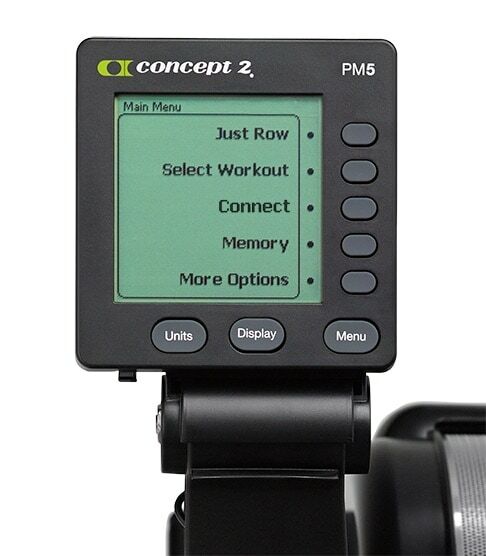 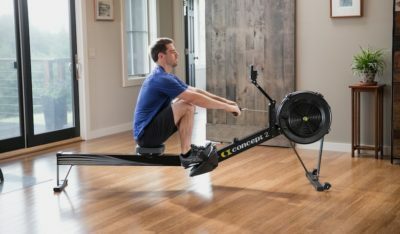 Concept 2 Model D and Model E Indoor Rowers are backed by a limited 2-year and 5-year warranty. 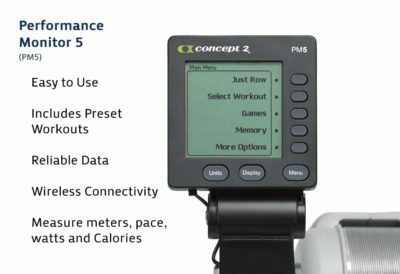 The Performance Monitor is what sets Concept 2 Indoor Rowers apart from other training devices, and every Model D includes our most advanced monitor, the PM5. Sophisticated yet easy to use, the PM5 provides accurate, comparable data for every row. A back light increases visibility, compatibility with USB flash drives makes storing your workout data a breeze, and you can wirelessly monitor your heart rate. 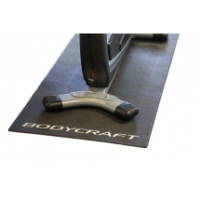 The adjustable monitor arm on the Model D lets you position the monitor where you prefer. 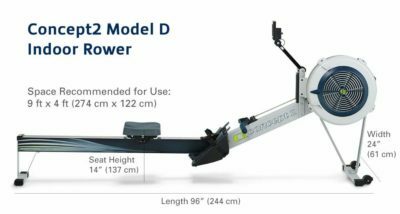 With its 14″ (35.6 cm) seat height, the Model D keeps a low profile. 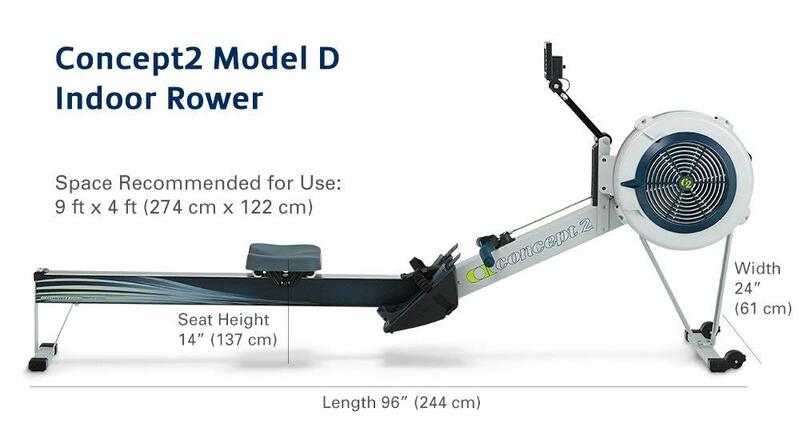 The Model D requires the installation of the front legs using a total of eight screws. 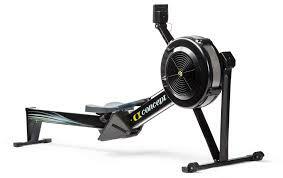 We include the necessary tool and clear, illustrated instructions. 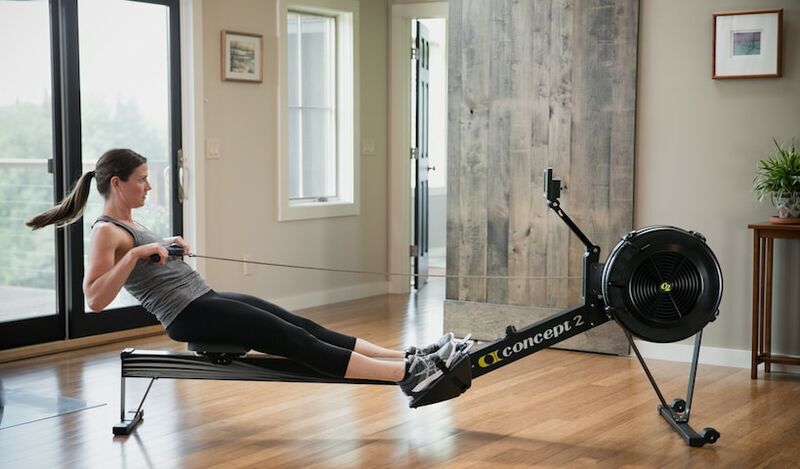 Takes just 20-30 minutes. 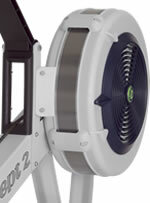 View the Model D Assembly video.